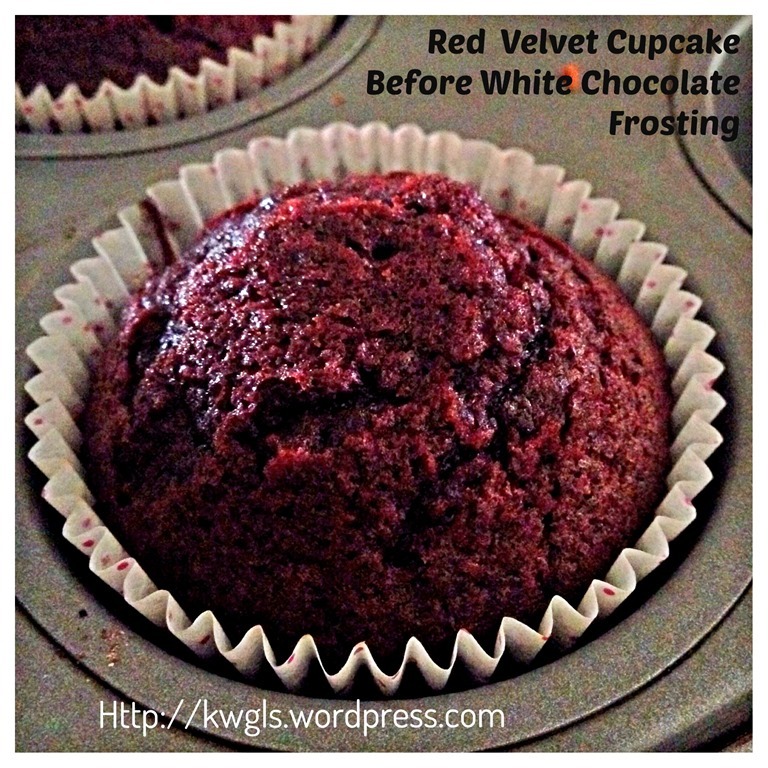 My relatives, once have a red velvet birthday cake is asking me if i know how to make red velvet cupcakes. I told her it shouldn’t be a problem since it is a chocolate flavoured cupcake but with the reddish brown daring colour. 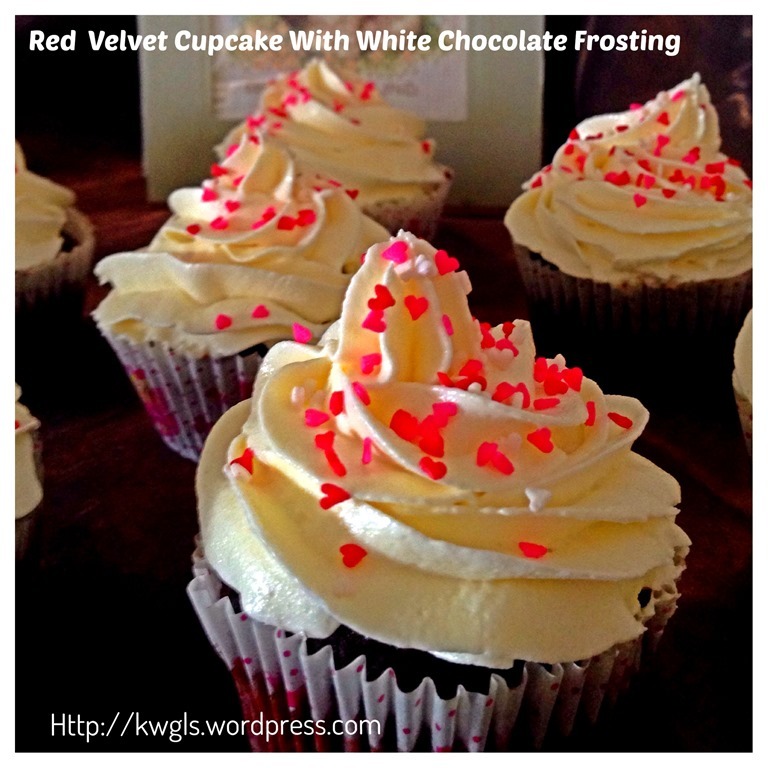 Yesterday, I have decided to bake these cupcakes. Frankly speaking, I baked 2 batches of the cupcakes. For the first batch that I baked, I did not like the colour and shape because I have added baking powder and reluctant to add in more cocoa powder to darken the colour. For the second batch, the colour is better but shape still rose more than desired. 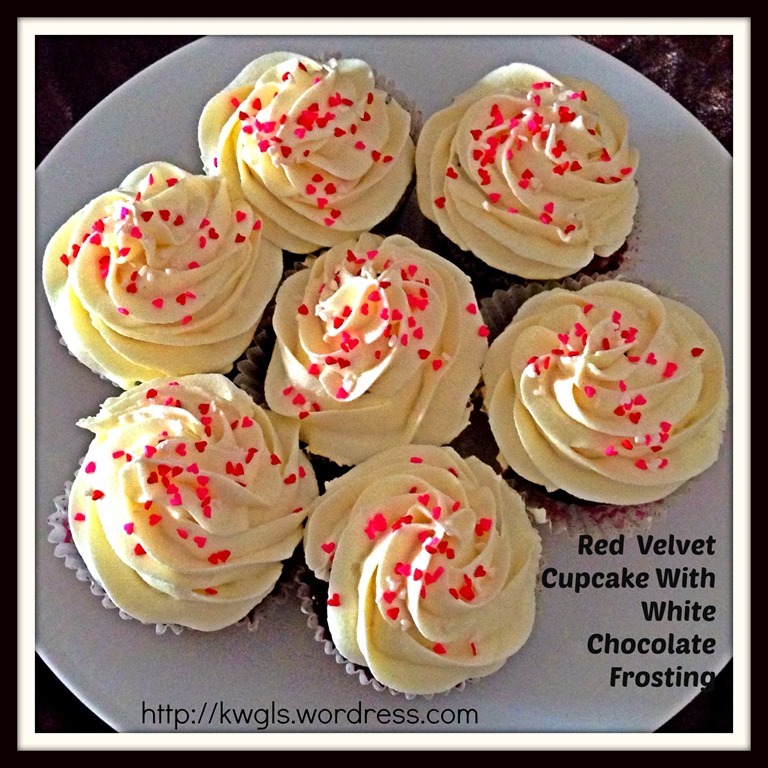 I am reluctant to change my recipe as I know my recipe will yield moist and soft cupcakes that I like. Since I am baking using my one number baking ratio beliefs, the volumes of liquids (including eggs) used is higher than other recipes. Because of more eggs used (particularly the egg white which itself is a leavener), the cakes will rise taller than cakes that used less eggs. Therefore, for the second batch, I have to cut off part of the tops. I have amended the recipe to use plain flour instead of self raising flour for cupcakes purposes. I have to admit that I am rather uncomfortable when I am adding the colouring. 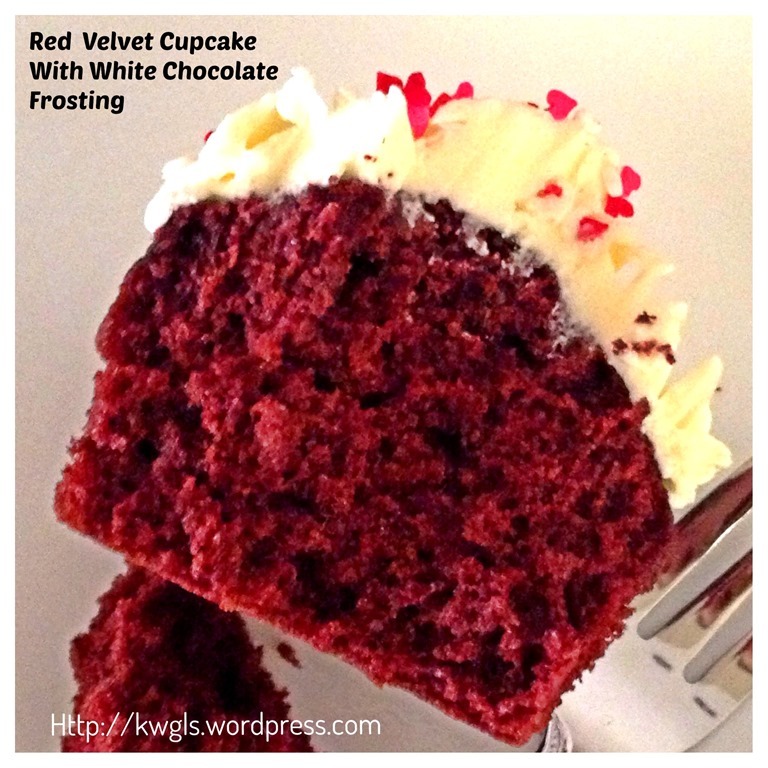 However, as it is a trend of baking red velvet cakes in recent years, as a blogger, I can’t possibly ignored this trend or important bake at all. At least my blog should have one. Traditionally, beet root was used for the colouring, however, in recent years, most bakers have used permitted food colouring instead of the natural colour. If you do not like the colouring, well, you can omit the colouring and become just chocolate cupcakes. Cupcakes are too simple to serve on its own. As an Asian, I do not really mind having cupcakes without any frosting at all. 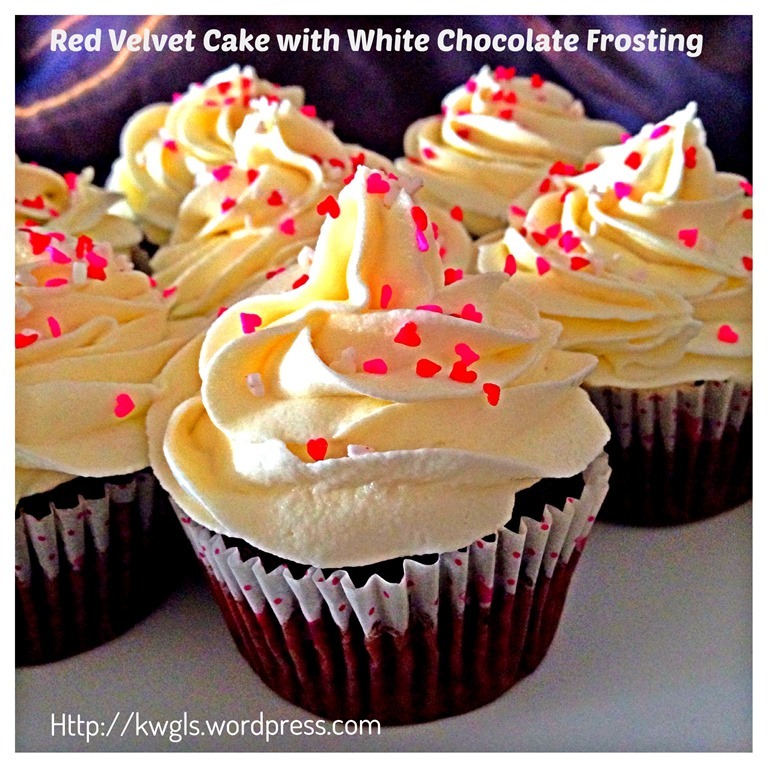 However, I have decided to prepare the less common white chocolate buttercream frosting and share with readers. 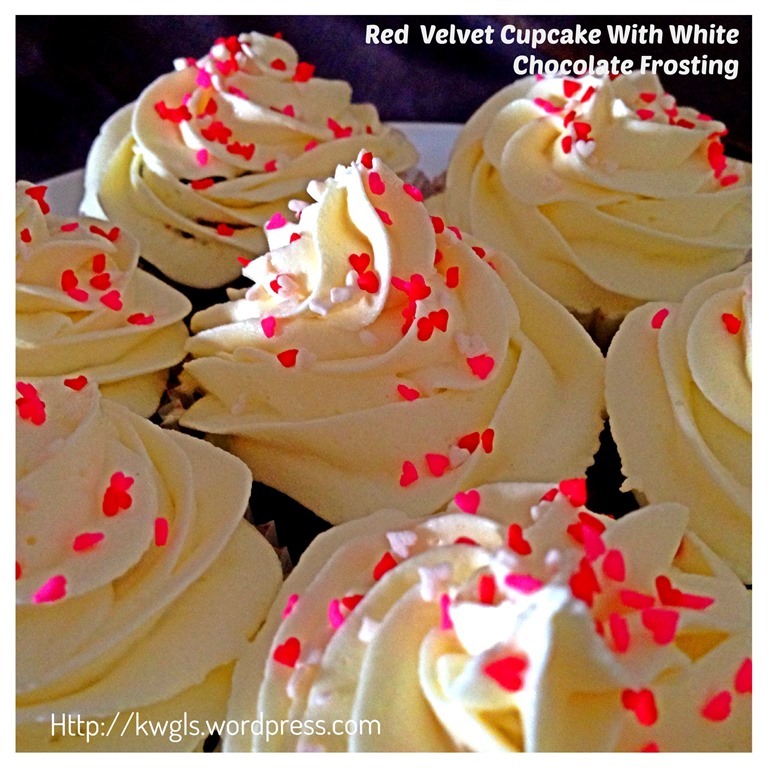 The cupcakes and the frosting are both not overly sweet and a bite of the creamy white chocolate frosting will bring you to another level of enjoyment. 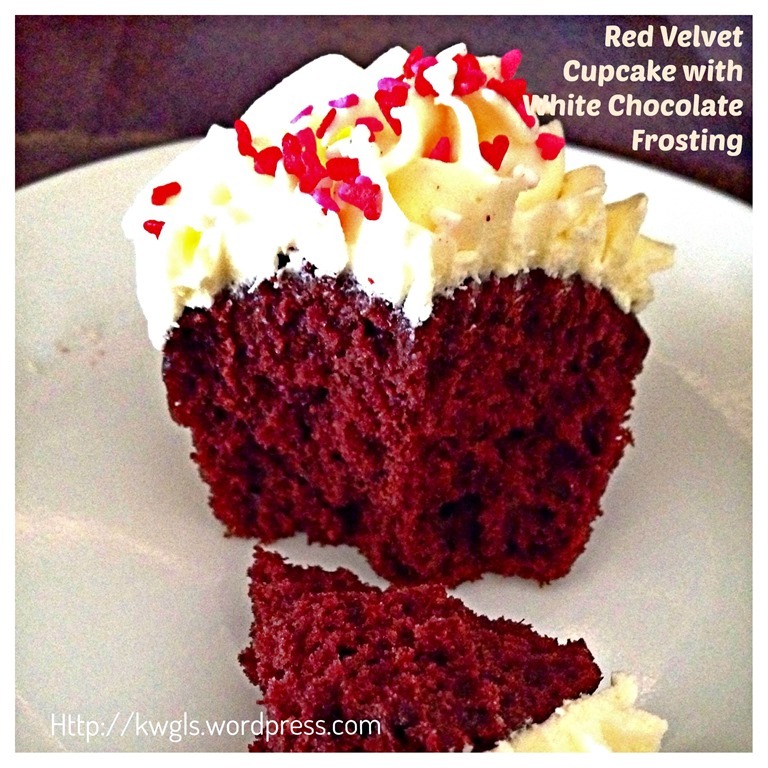 This cupcake is definitely designed for chocolate lovers. In addition, it is a simple “mix and bake” cupcake. Melt the butter in microwave for 1 minute and set aside. Add the vinegar or lemon juice to the fresh milk and slightly stir it. This is only applicable if you are using fresh milk. 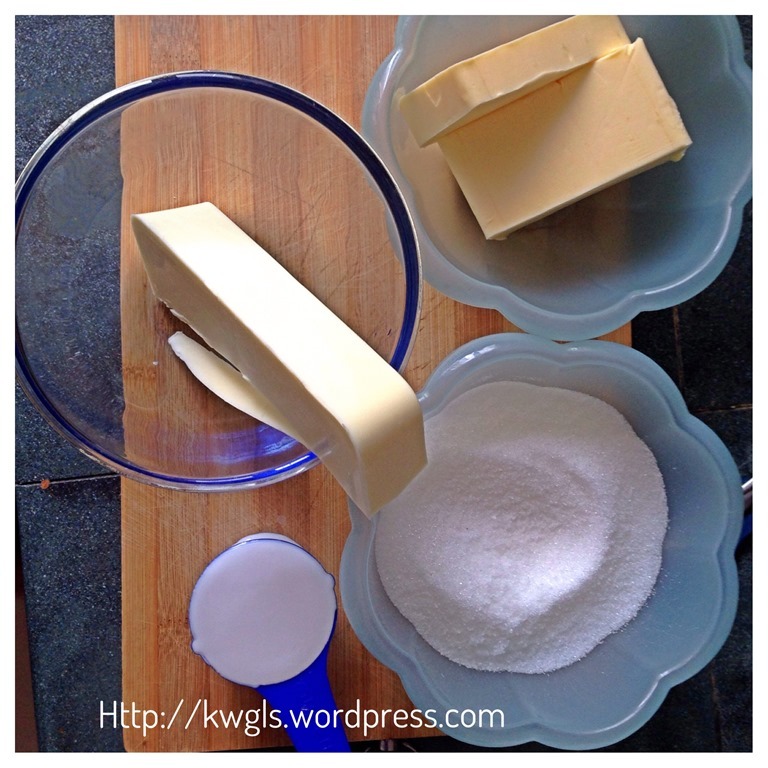 Omit this step if you are using buttermilk. 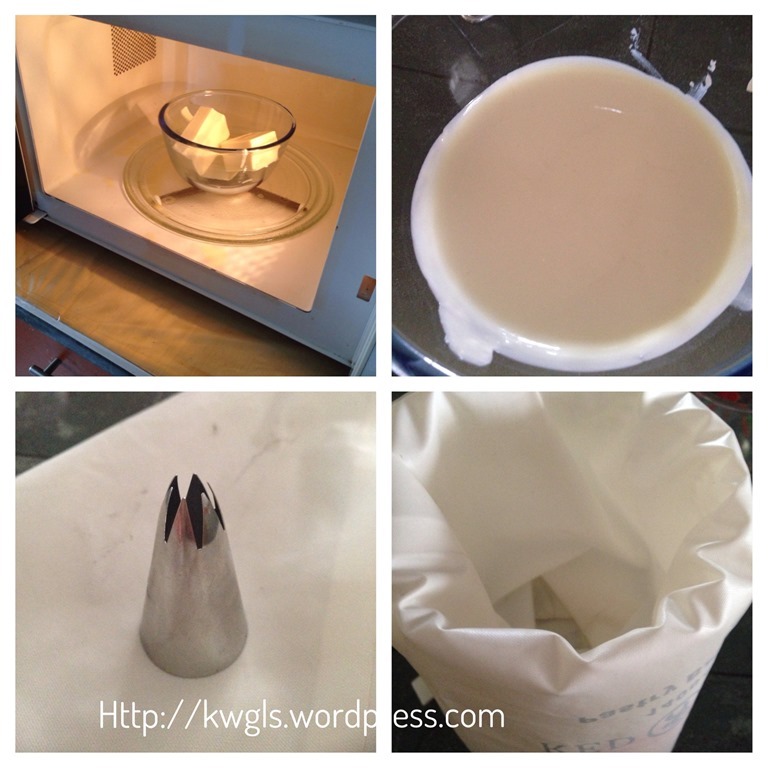 Melt the white chocolate in microwave for 1 minute and set aside. Sift the flour and cocoa powder into a big bowl. Add sugar and use a spoon to make a well in the centre. In another bowl, put eggs and melted butter. 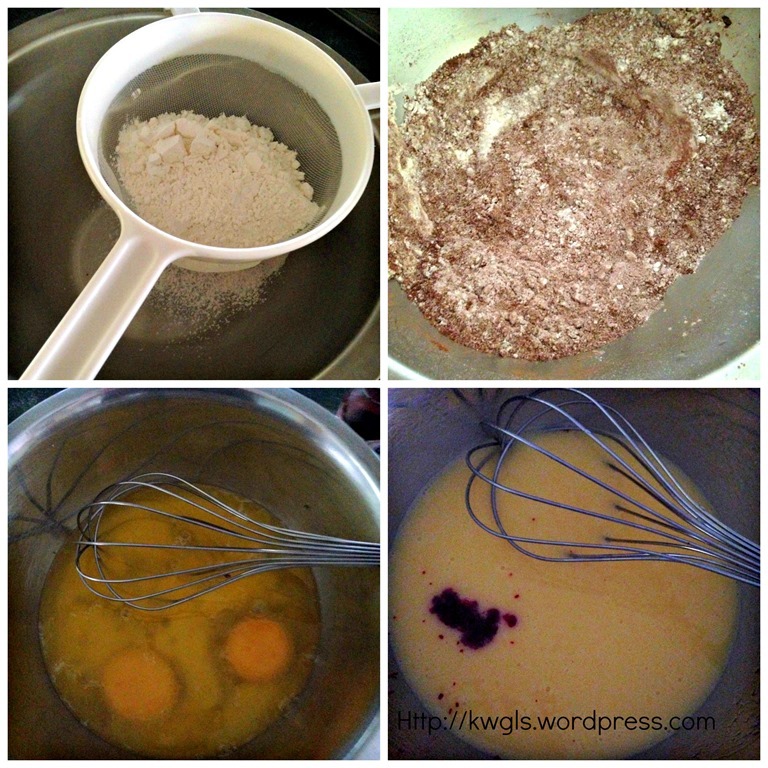 Use a balloon whisk to whisk until well mixed. 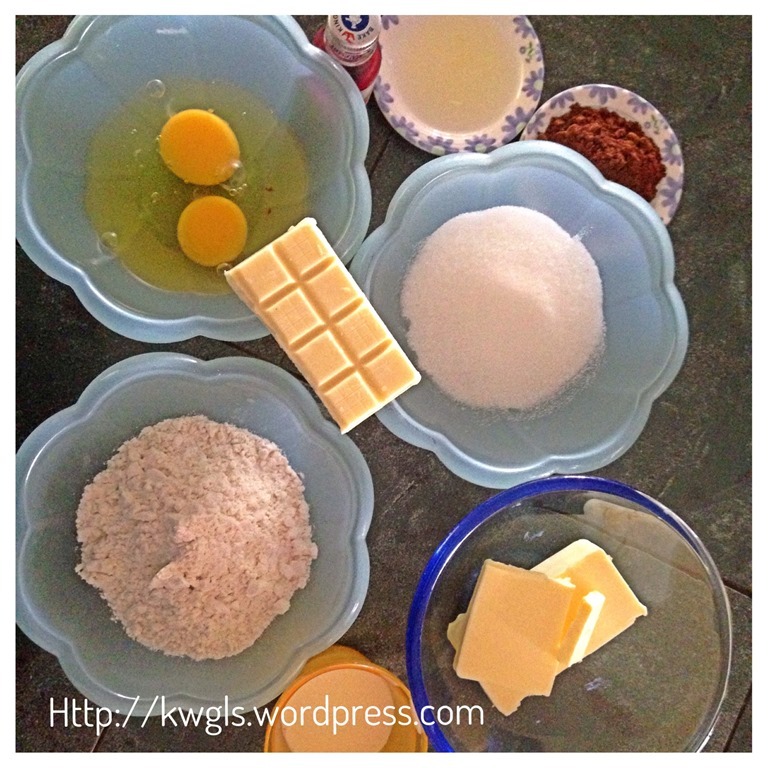 Add in white chocolate and whisk until well mixed. Add in the red permitted food colouring followed by milk and mix well. 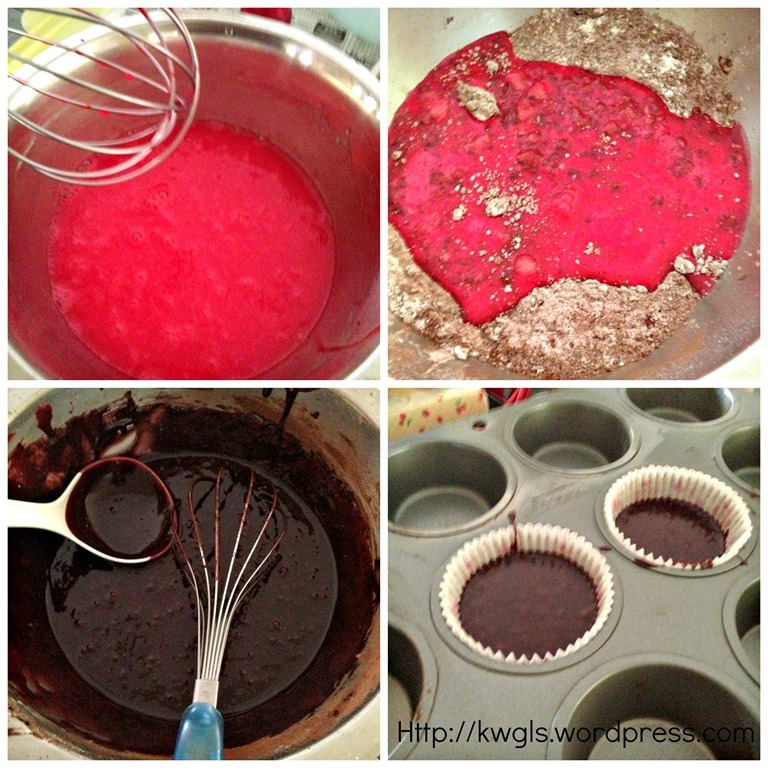 Put the red coloured liquid mixture into the dry ingredients (sugar, cocoa powder and plain flour). Use the balloon whisk to mix well. 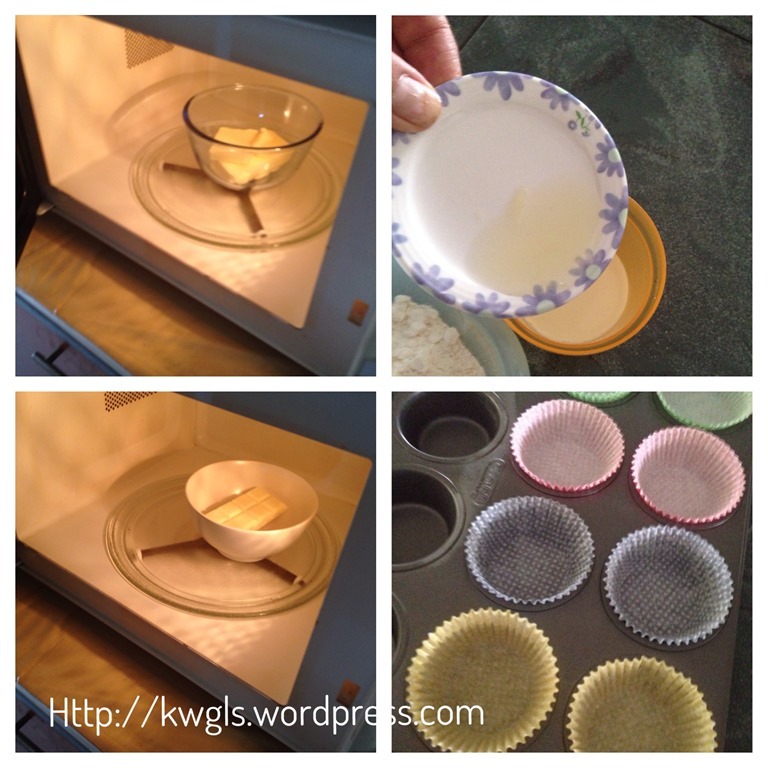 Scoop the batter into the cupcake cups in the muffin trays. Fill the cupcake cups with 2/3 full. If your batter is more, you should increase number of cups used. Baked in the oven for 15-20 minutes or when the skewer inserted comes out clean. 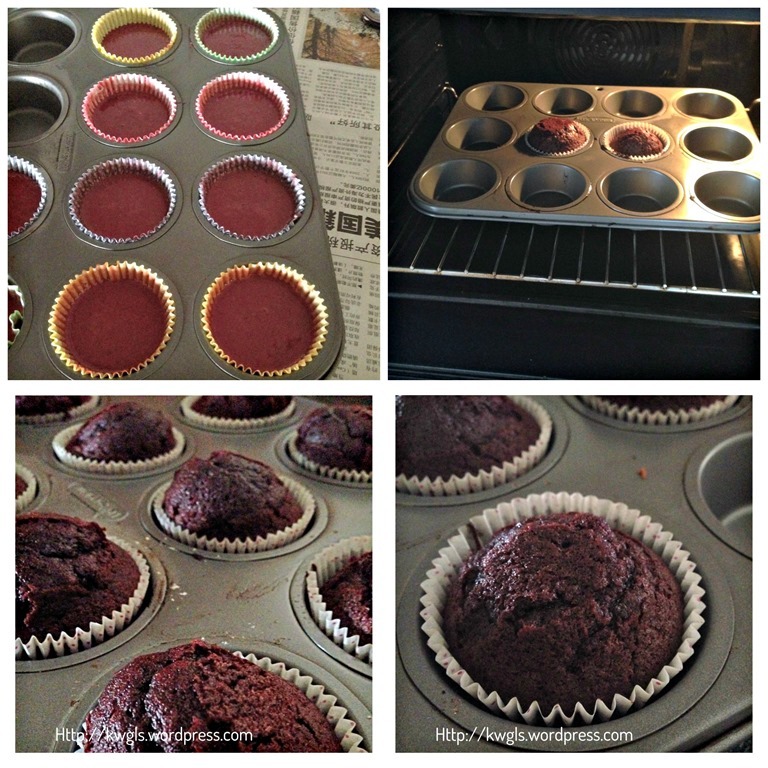 Transfer the cupcakes to the rack and cool completely before proceed to the frosting. Melt the white chocolate in the microwave for one minute and set aside at room temperature for cooling. Get ready your preferred nozzle, I have used Wilton 2D nozzle to create a big rose liked swirl. Get ready a container that can hold the piping bag. I have used Chinese New Year cookies container. 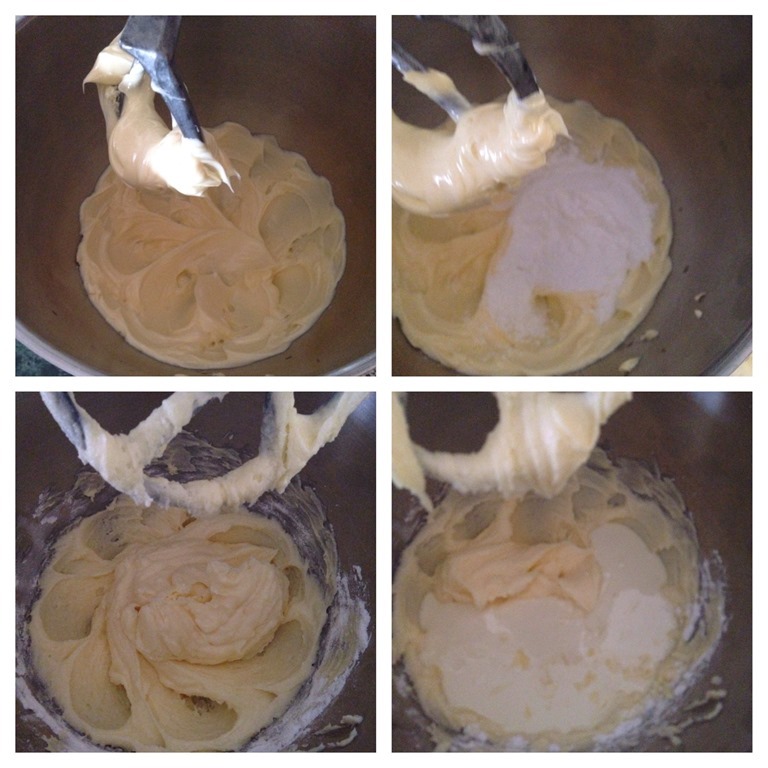 Cream you butter at medium speed (about 1-2 minutes) until smooth and pale. Change to low speed and gradually add in your icing sugar spoon by spoon until the sugar are added. Quickly add in the melted white chocolate and revert back to medium speed for 2 minutes until the icing is smooth, creamy and combined. Add in the cream, vanilla essence and pinches of salt and beat for additional 1 minute until combined. 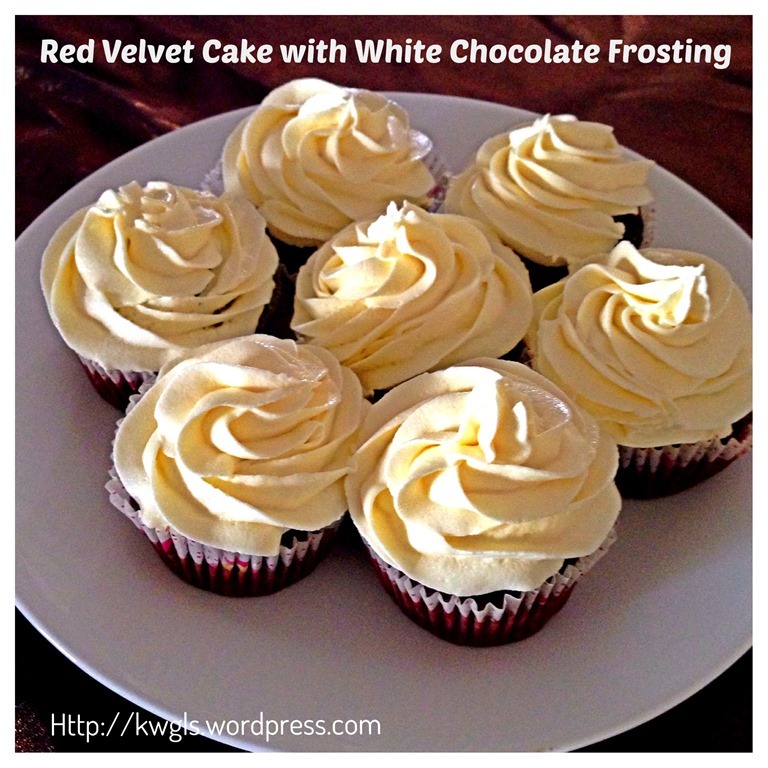 At times, room temperature do have effect on the frosting prepared. 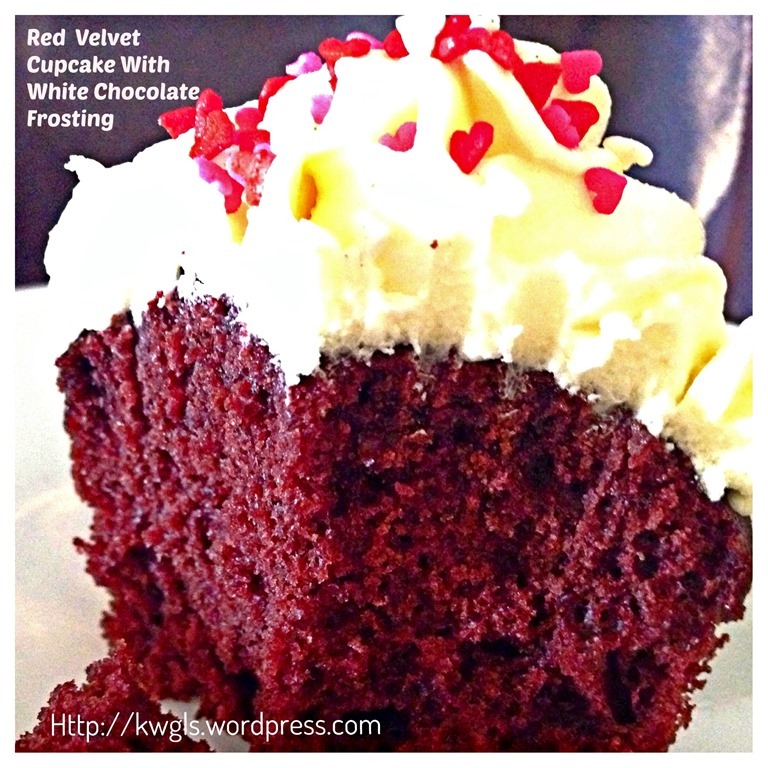 If your frosting is too dry, add ONE TEASPOON of cream gradually. If it is too runny, add ONE TABLESPOON of icing sugar at a time to improve the consistency. However, some judgements are needed. You may wish to chill it before piping (as mentioned below). 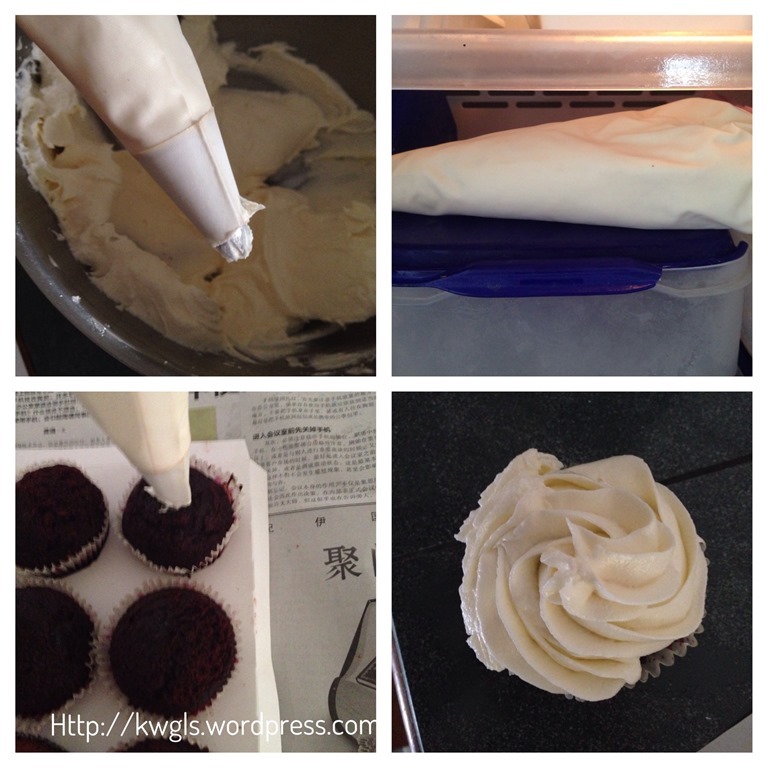 Transfer your icing to the piping bag. If your icing is too runny, you can put your piping bag in the fridge for 2-3 minutes until your desired icing consistency. Either start from the centre or from the edge of the cupcake, pipe the icing in the circular pattern until the top of the cupcake is covered. Sprinkle with coloured sugar or candy beads if desired. Well, any left over icing can be used for saltine crackers if you like it or keep in an air tight container in the fridge until the next frosting. In Singapore’s hot weather, you may wish to chill it if you do not consume it immediately. Keep in the refrigerator until 10 minutes before serving. Best serve as a snack with a cup of coffee or tea. 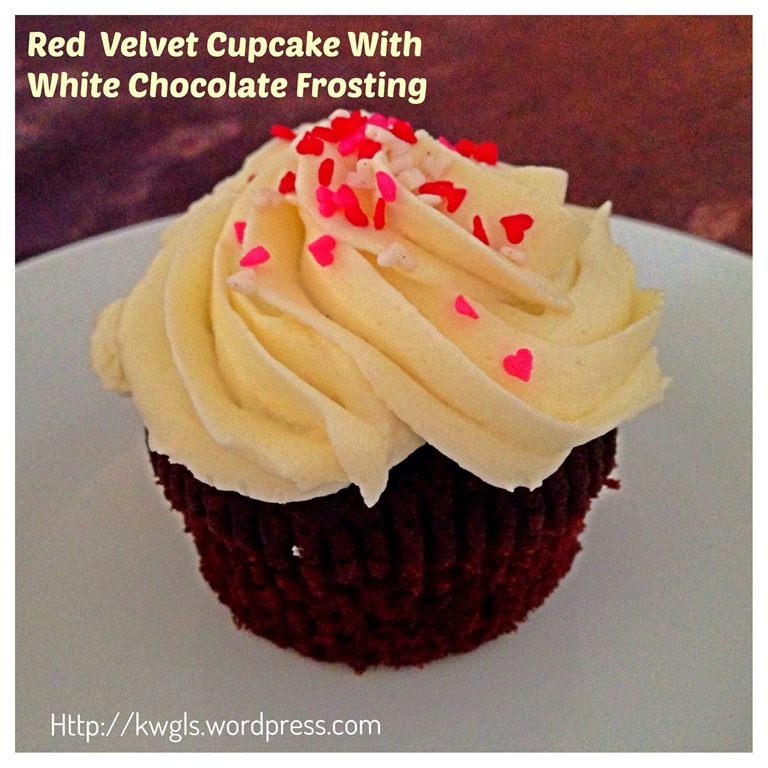 This is a simple recipe using mix and bake and with some white chocolate frosting. In my humble opinion, the taste is superb, textures are soft and moist. The frosting are just right to go with the cake. However, if you do not like permitted food colouring, do ignore it and make it into chocolate cupcakes and I am sure you will concur with me that it is equally delicious if you do not prefer to have any frosting. For Four Seasons Blog Hop #28 (Nov 20) where I am the Co-host, please join us for the party where you can get a lot of the family related posts. Please click the above logo to enter your post. 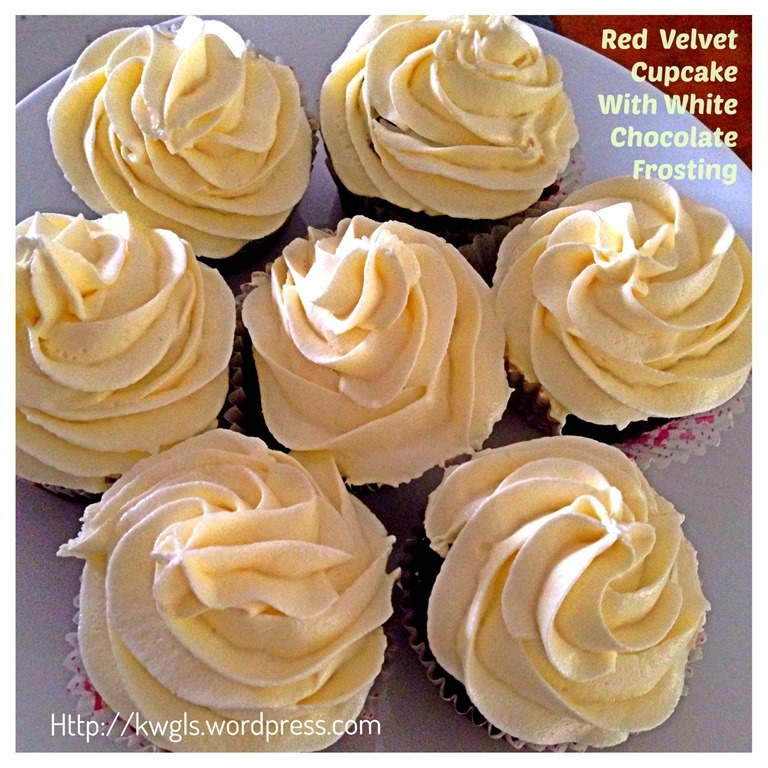 This entry was posted in Cakes and cookies, Food Preparation Series and tagged 8, GUAI SHU SHU, Guaishushu, postaday, Red Velvet Cupcake, red velvet cupcake with white chocolate frosting, white chocolate frosting. Bookmark the permalink. Ditto on the above comment. White chocolate on these is a perfect combination! Kenneth, I love the idea of using white chocolate instead of the traditional cream cheese. It’s a nice new spin to update a recipe. That frosting looks so perfect and delicious! Pinning! 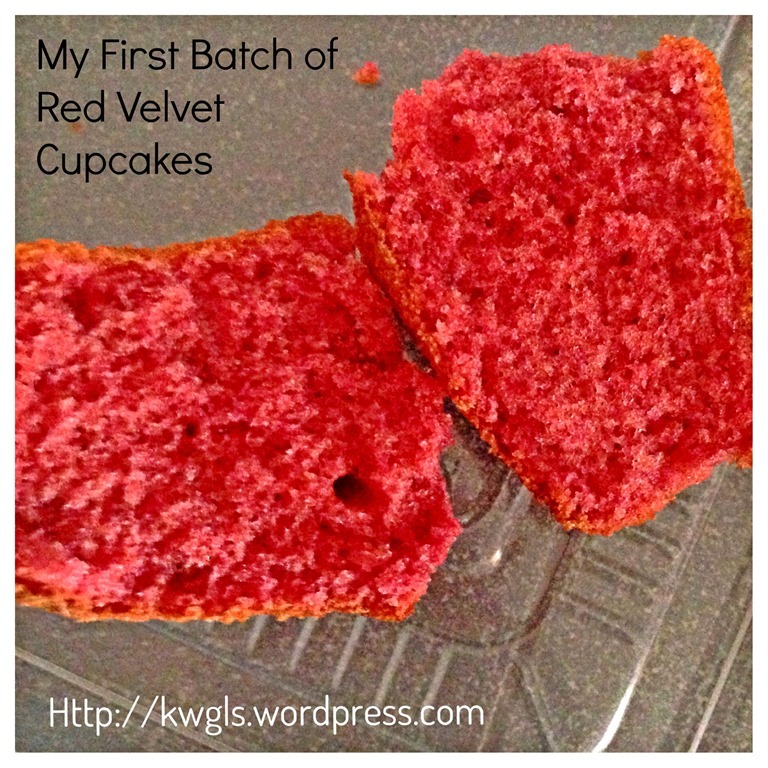 My husband has been asking me to make him a Red Velvet Cake – these cupcakes sound so easy and delicious! 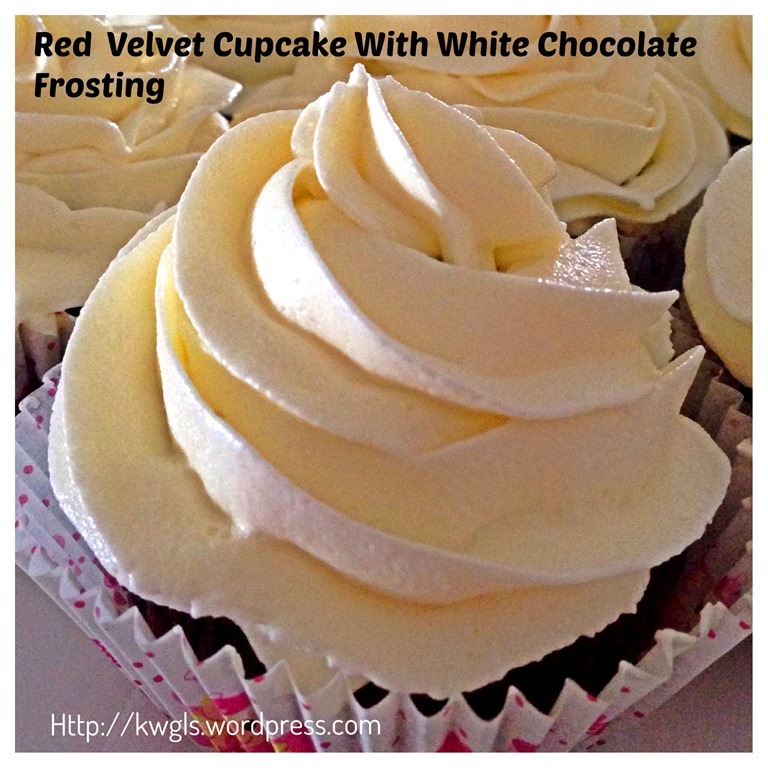 And that frosting – brilliant to use white chocolate instead of cream cheese! 🙂 Pinned! Thanks so much for linking up to Freedom Fridays! Hi Kenneth, sorry im a noobie. I would like to check after I did the white chocolate frosting on the cupcake, must I chill the cupcakes before passing to my friends to try ? As I read tt frosting must be kept chilled if not it will get spoilt easily. Hello, how much is 50 grams of buttermilk? do you mean to say like half a cup? Nice idea to use white chocolat in the recipe.. never seen such recipe before. I am gonna try these tomaro!!! Btw, did u bake them at 350F? What’s the temp we shld be baking ?